Is a world-wide sugar addiction spreading obesity? 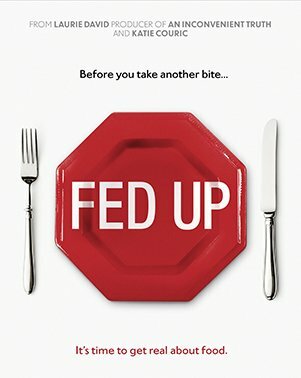 The documentary Fed Up seems relevant to the search for a remedy for the ever-growing obesity rates world-wide. The New England Journal of Medicine has published a new study on the Health Effects of Overweight and Obesity in 195 Countries over 25 Years (6/12/17), based on a Global Burden of Disease Study (GBD), a collaboration of over 2,300 researchers in 133 countries (of late). A global research program, the GBD assesses mortality and disability from 300-plus diseases, injuries, and risk factors. Funded by the Bill and Melinda Gates Foundation, GBD is based at the University of Washington’s Institute for Health Metrics and Evaluation. The new study on obesity analyzed trend data from 1980 to 2015 from 195 countries (representing the world’s population) and concluded that in 73 countries obesity rates at least doubled and in most of the other countries continuously increased. Globally, the problem is staggering: more than 2 billion children and adults suffer from health problems related to being overweight or obese, and an increasing percentage of people die from these health conditions. Dr. Christopher Murray, an author on the obesity study and Director of the Institute for Health Metrics and Evaluation noted the risks for people who “shrug off weight gain” are serious: cardiovascular disease, diabetes, cancer, and other life-threatening conditions. In 2015, 4.0 million deaths were attributed to excess body weight. Among the 20 most populous countries, the highest level of obesity among children and young adults was in the United States at nearly 13%. Egypt topped the list for adult obesity at about 35%. Lowest rates were in Bangladesh and Vietnam, at 1%. China with 15.3 million and India with 14.4 million had the highest numbers of obese children. The United States with 79.4 million and China with 57.3 million had the highest numbers of obese adults in 2015. In Matt Richtel’s article in the NY Times on the new study, Over 10% of World’s Population is Obese, Study Finds (6/12/17), Adam Drewnowski, director of the Center for Public Health Nutrition at the University of Washington, who was not affiliated with the study, noted that “What people eat is the key factor in whether they become obese or not.” Mr. Drewnowski added that “It is all very nice to talk about the need to eat less unhealthy foods and more healthy foods” but emphasized that “healthier food often cost more.” According to reporter Matt Richtel, the authors of the study said the growing accessibility of inexpensive, nutrient-poor packaged foods was probably a major factor and the general slowdown in physical activity was probably not. We would also draw attention to the documentary film Fed-Up, narrated by Katie Couric, which hammers home the point that sugar consumption, with its addictive nature, has spawned the obesity problem. Americans consumed an average of over 130 pounds of sugar during 2012, the most recent year with data available when the film was made. Permit me to suggest patronizing a bulk foods department at a natural foods co-op and perhaps purchasing a share in a community supported agriculture (CSA) farm. And as Michael Pollan puts it bluntly: Eat food, mostly plants, and not too much. 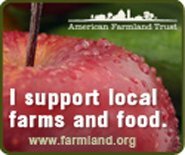 A closing note: Buying food in bulk and participating in a CSA farm, by purchasing a farm share or splitting a share with a neighbor or friend, are actually very economical ways to spend food dollars for healthy and nutritious real food.